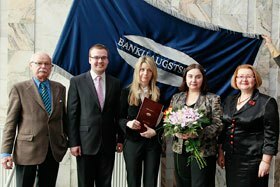 In February 2009 SBS Swiss Business School together with BA Banku Augstskola School of Business and Finance have celebrated the Graduation 2009 of their students in Riga, Latvia. SBS is proud to announce its successful re-certification by EDUQUA, the Swiss Quality Label geared towards adult education. Thomas Signer, SBS faculty member and author of the famous book “The harder they fall” will be in Bangalore on December 13, 2008. There are many special SBS occasions and events that occur throughout the academic year. Last Saturday, 20 September, 2008, SBS Swiss Business School has celebrated the Graduation 2008 of it’s students from 54 different countries at the Gottlieb Duttweiler Institute in Rueschlikon (Zurich). Zurich is the most attractive region for conducting business in all of Europe, according to the Swiss research institute BAK Economics. 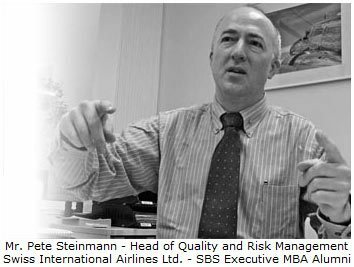 When Swiss International Airlines Ltd. has to rent aircraft including the crew from other airlines (so called “wet lease-in”), the department of Quality and Risk Management (OSQ) plays a vital role in the assessment process of potential leasing partners.